Spencer has Tourette syndrome, which can make it hard to make new friends as first impressions aren't his strong suit. The one person he never had this problem with and who took him at face value is his neighbour Hope. She moves in with her family when they were both in seventh grade, and they grew up alongside each other as friends – ultimately becoming best friends. But as Hope and Spencer become teenagers life becomes more difficult and their feelings for one another more complicated. Can their friendship survive heartbreak and tragedies? Or were they only friends by default because they live next to each other and growing up ultimately means growing apart? Cool cover aside, I expected A Taxonomy of Love to be a cute YA romance, what I didn't prepare myself for was to be punched in the heart with all of the feels. The story of Spencer and Hope going from neighbours to friends to best friends to almost lovers to strangers and back again was an emotional roller-coaster and a half and I absolutely loved every minute of it (even the tough and frustrating bits). And it wasn't just a soppy puppy love story either, with Spencer's Tourette's and both of them having siblings with their own storylines there was tons going on – though it was the ever-changing and fascinating relationship between Hope and Spencer that was the indisputable heart and soul of this book. Not only that, but Spencer's taxonomies in which he categorised different levels and meanings of their relationship added a quirky feature to what was already a great read. A Taxonomy of Love does what it says on the tin. It dissects and classifies the many ways of love that exist within this book; love between friends and between family members and, of course, of the romantic variety too. It's a journey that isn't always an easy one, the road being paved with obstacles and hardships as Spencer and Hope are forced to discover, but perseverance does pay off in the end, in a most beautiful way. 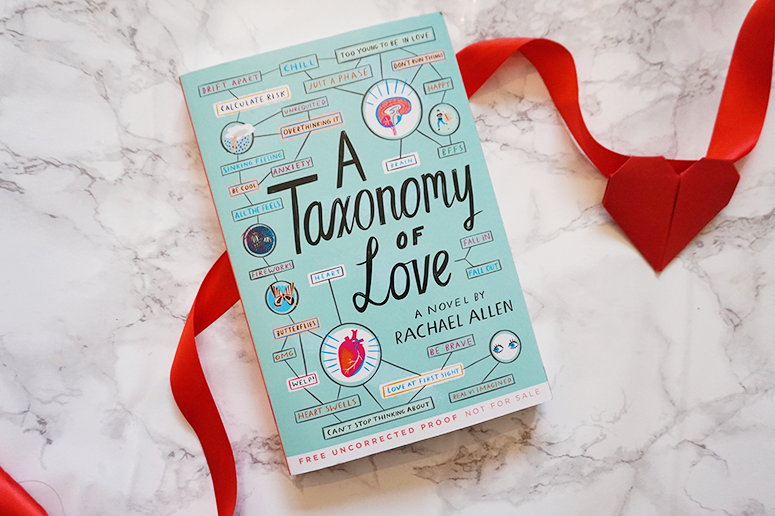 Taxonomy of Love will be published by Amulet Books on 9 January 2018 and you can pre-order your copy now from Foyles or your own preferred retailer.